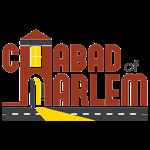 Get involved and become a volunteer at Chabad of Harlem! We appreciate every extra pair of hands and know that without your support we couldn't get it done! Special shout out to Stephanie Green for managing the volunteer website!! Click here: to sign up for a volunteer opportunity at Chabad. The site includes, dates, times and a description of the help needed. We currently need weekly assistance on Shabbat morning in our Children's room and with Kiddush set-up, but will be looking for help for upcoming holiday events as well.